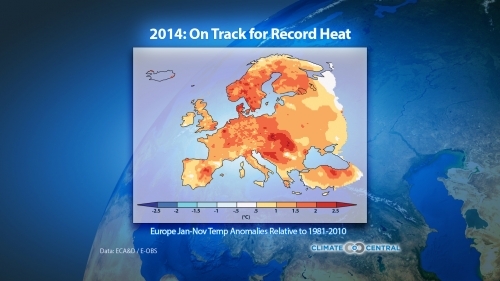 As 2014 comes to a close, Europe is virtually certain to lock in its hottest year in more than 500 years, and according to research by three independent teams of climate scientists, the record can be closely attributed to climate change. 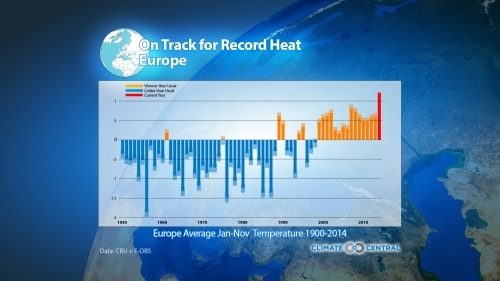 Temperature anomalies across Europe for the year from January-November, as compared to the 1981-2010 average. The January-November 2014 average temperature in Europe compared to that for other years. As a continent, Europe is set to break its record by 0.3°F, according to new estimates made by Geert Jan van Oldenborgh at KNMI, and explained in the Climate Indicator Bulletin released by the World Meteorological Organization’s Regional Climate Center for Europe and the Middle East. 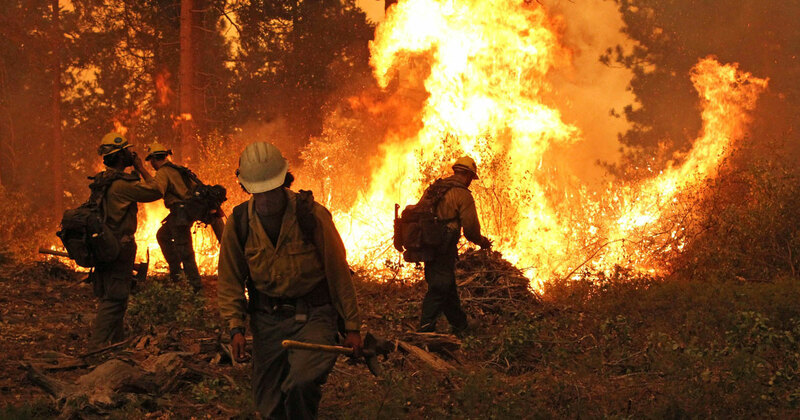 Independently, the two other groups used different analyses to probe global warming’s role in the year’s record heat. 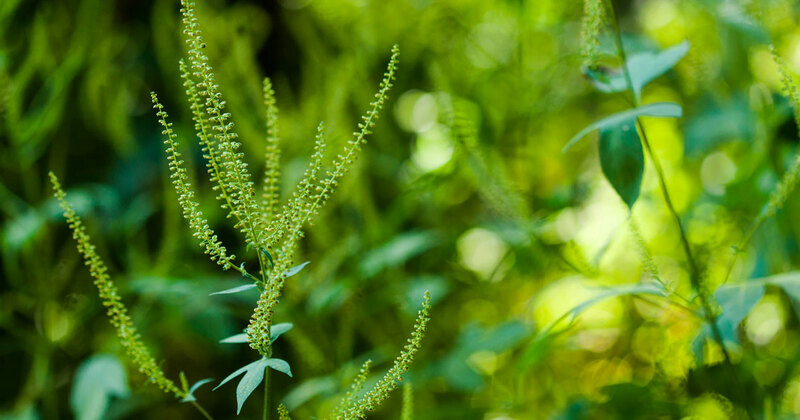 A team at the University of Oxford in the UK, led by Myles Allen and Friederike Otto, used thousands of iterations of regional climate models embedded within larger global models to examine more localized weather events. 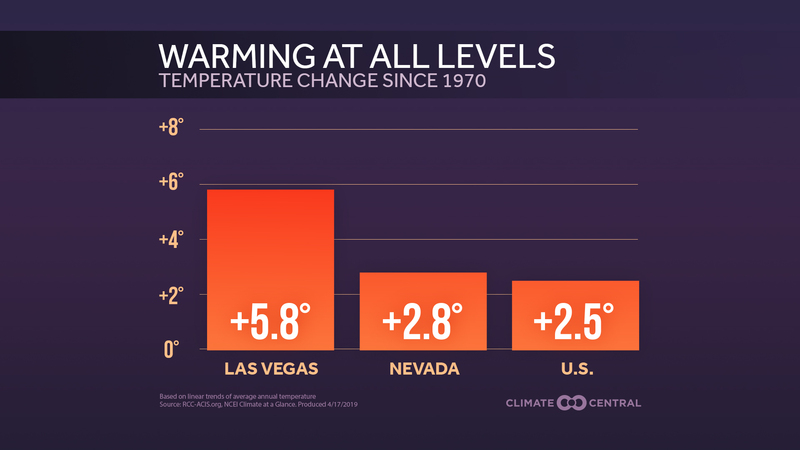 For example, their data for Germany determined that what was once a 1 in 80-year heat event has now become a 1 in 7-year event, making it 10 times more likely due to global warming. 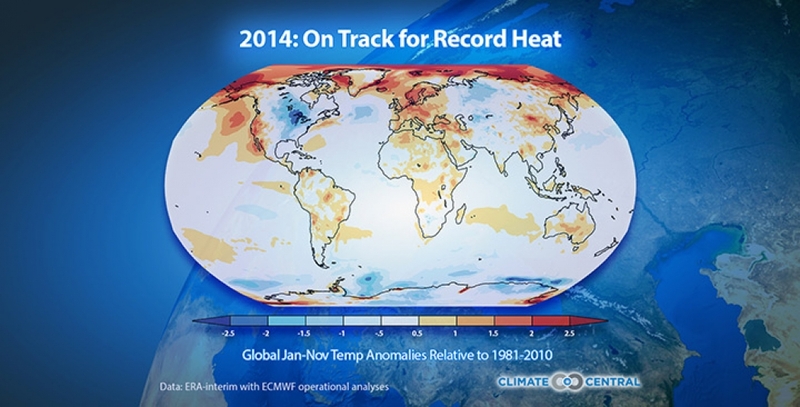 Temperature anomalies across the globe for the year from January-November, as compared to the 1981-2010 average.